How Far is Sai Morya Metro 9 Residences? Sai Metro 9 Residences is one of the residential developments of trusted builders, Sai Morya InfraBuild. The builders are known to inspire trust and fulfil the needs of customers through passion and innovation. Their result oriented efforts towards enhancing residents’ lifestyles always exceed expectations. Sai Metro 9 Residences offers spacious 1BHK, 1.5BHK, 2BHK and 2.5BHK apartments in Thane. The project is well equipped with all modern amenities to please the residents and ensure a comfortable lifestyle. 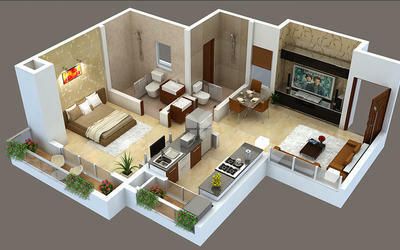 The Project is equipped with various amenities for safety, convenience and an enhanced lifestyle. The project also has health and sports amenities like a gym, a jogging track, a badminton court, a basketball court, etc. Copper electrical wiring in concealed conduits with MCB, fiber optics cable for TV, telephone and premium modular switches.